Every reception has its on character, the clients have different family and friends, and as well when the toast is added to the event everyone of them is totally different. 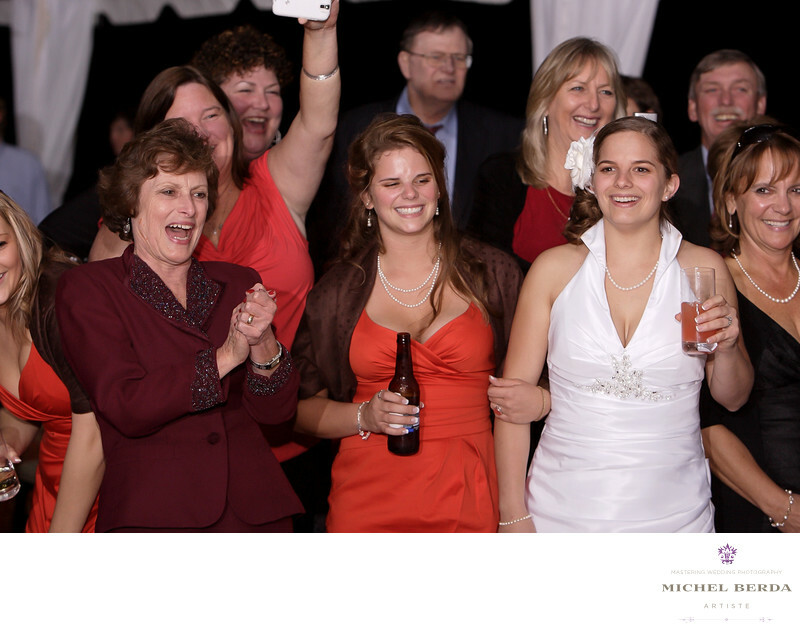 There are so many elements in capturing emotion for a toast that back several years ago, I found myself fortunate to capture a wedding for my clients, at the beautiful venue Lowndes Grove Plantation. Located on 266 Margaret Street in Charleston South Carolina, you will find this beautiful Main house that showcases 1786-era architecture, an expansive piazza, grand lawn,and sunlit terraces made of bluestone. The scenic beauty of the Lowcountry highlights unrivaled sunset views along the waterfront. This venue is spectacular and run by a first class organization PPHG. I am there often capturing bridal portraits or weddings there. For this wedding at Lowndes Grove Plantation, it was time for the toast and the best man was on a role, making everyone laugh. As a wedding photographer you have to be aware of the surroundings, you have to make very sure that you do not just concentrate taking images of just the person giving the toast, but more importantly the family and friends, their emotion well documented is priceless, and as this image will show that the bride and her sister, and mother in law had the perfect emotional moment right has this image was captured.Keywords: Lowndes Grove Plantation Charleston (3).